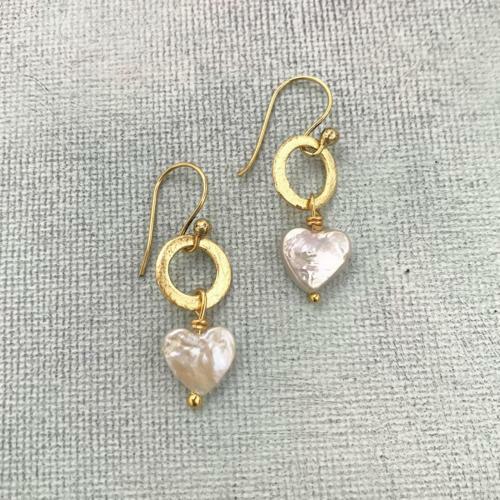 Dainty freshwater pearl hearts with etched silver or gold plated circles. Hypoallergenic and nickel free. Matching necklace available.